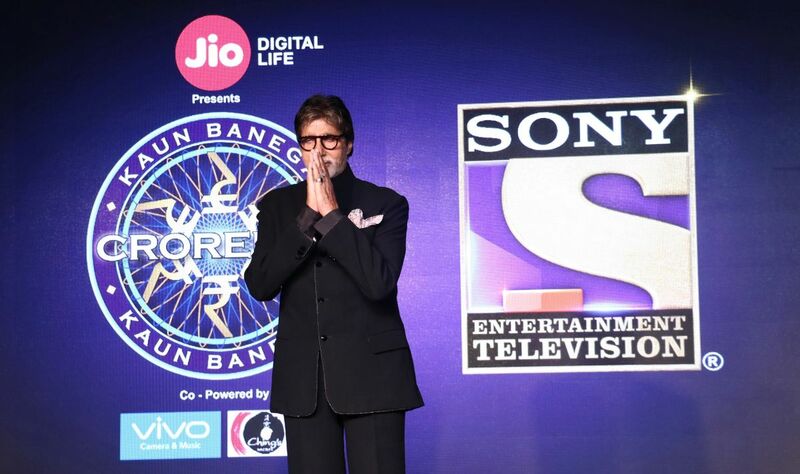 Mr. Amitabh Bachchan, to once again host the biggest show of Indian television, Kaun Banega Crorepati Season 9(KBC), starting on August 28th, Monday – Friday at 9:00 p.m. on Sony Entertainment Television (SET). new lifelines at KBC 9 – thrilling gamification and an array of technological advancements in a concisely packaged limited episode season. The hitherto ‘Phone-a-Friend’ lifeline will be revamped this season to Video-A-Friend. Additionally, an aptly titled new life-line ‘Jodidaar’ has been introduced – wherein the participant can bring along a partner to join him/her on the coveted hot seat. The game will be made more exciting with the introduction of a jackpot question for rupees 7 crores. This will be an all or nothing deal, where all the remaining lifelines of the contestants will terminate. The iconic live-sized cheques will be replaced with digital currency transferred directly into winner’s account via Axis Bank. Kaun Banega Crorepati will bring the game closer to the viewers by taking the engagement a notch higher. Jio subscribers can participate daily in the Ghar Baithe Jackpot Jeeto contest and stand a chance to win a Datsun redi-GO car every day. For the first time ever Jio subscribers will have the opportunity to ‘Play Along’ with the on air game and match their knowledge with the contestants on the hot seat. Produced by Big Synergy, Kaun Banega Crorepati 9 is sponsored by Vivo, Jio, Ching’s, Datsun, Raymond, Axis Bank, Akash Tutorial, Big Bazar and Quick Heal. This year, the show received a record breaking registration of 19.8 million over 7 days. Siddhartha Basu is the Creative Producer of kbc season 9, wait few more days for the launch of kbc latest. Tune into Kaun Banega Crorepati starting August 28th, 2017, Monday-Friday, at 9:00 p.m. only on Sony Entertainment Television.